You may have used Q.U.B.E. Director's Cut for an easy completion when or after it was released in July 2015. The estimated 4-5 hours to complete the game gave gamers around 1300 TrueAchievement points for 1000 Gamerscore, so even though the TrueAchievement ratio was nothing to scream and shout about, the stats show that the game was a relatively easy completion. 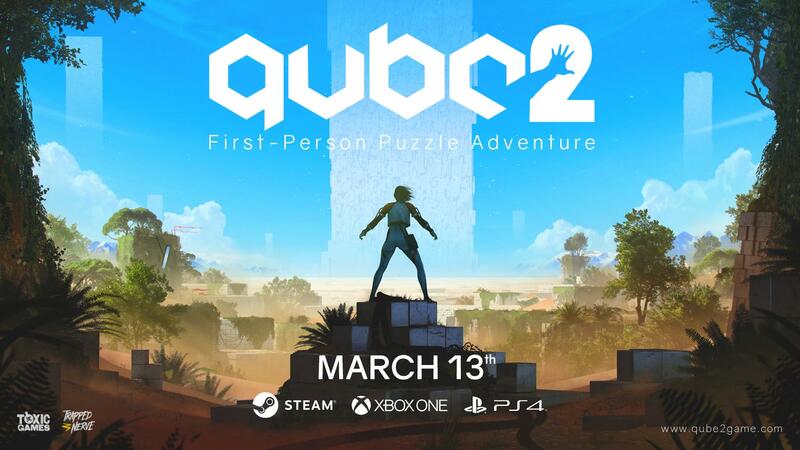 Now, the sequel, Q.U.B.E. 2, is on its way and there's also a Windows 10 version to check out. Will the achievements be as straight-forward and easy as the first? Toxic Games will be looking to make everything bigger, better, and more puzzling. Can the same be said about the achievements or will the list be another fairly easy set to unlock? Take a look at the newly revealed list below and give us your impressions.